CAM Raleigh presents a staged reading of scenes from Raleigh Little Theatre's upcoming production of Yasmina Reza's Art directed by Jesse R. Gephart and starring Mark Phialas, Chris Brown, and Kevin Leonard. Q & A reception with the actors and director. Free for Members of CAM Raleigh and Raleigh Little Theatre. 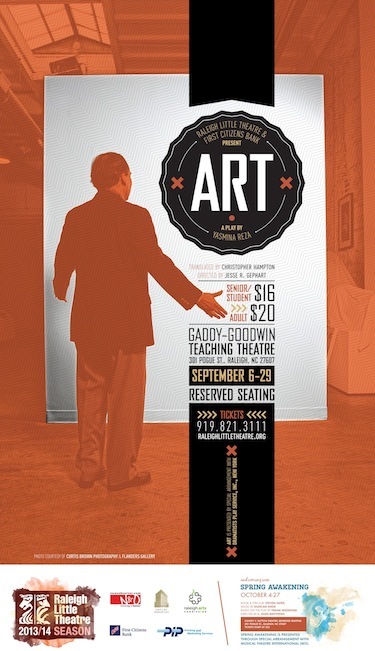 RSVP to Gab Smith: gab.smith@camraleigh.org or 919.513.8099. $5 public.